It feels good to try out new online casinos, but you might not get what you want right away. Although there are great online casinos, you must avoid certain casinos. Let’s talk about how to tell the difference between a good and a bad online casino. Let’s say you’ve just visited a new casino for the first time. The casino is beautiful and there are all kinds of new games by the best developers. You love everything but you wonder whether the casino is legit or not. The best way to determine the casino’s legitimacy is to search for the relevant license. Licensed CA casinos keep your money safe and you can find the license on the bottom area of their website. It’s also important to contact the support team if you need help. Moreover, you can confirm whether the license is authentic by looking for information on the issuer’s website. Reputable casinos offer excellent customer service and their customer representatives are always ready to listen to you and solve your problems. Casino bonuses may not be as good as they sound. Respected casinos do not lure players with unrealistic promises and huge numbers. 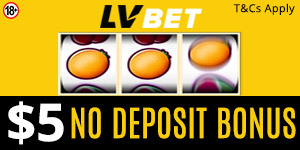 They offer casino bonuses with easy-to-achieve wagering requirements. Smaller bonuses are better than huge bonuses that are difficult to play through. Therefore, you should avoid lucrative bonuses if you don’t want to make huge losses. Great online casinos have a certificate or award to prove their good reputation. They receive certificates from impartial third parties and undergo regular audits to ensure fairness. You want to play safe and unbiased online slots, so you should look for casinos with trust certificates. Some time ago, desktop casinos were enough, but we now want to access casinos on smartphones and tablets. That’s why the best casinos have mobile casino apps with responsive mobile slots. It’s hard to imagine an online casino without a mobile version. Clearly, the future is mobile. Kindly share your thoughts on the topic of reputable casinos with us.